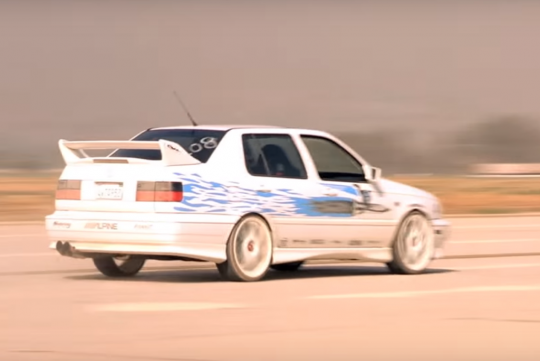 One of the cars from the original Fast and Furious movie, the white Volkswagen Jetta, is now on sale. Owned by Frankie Muniz, the Jetta has been making several appearances over the years for the movie's promotion purposes. Sporting a updated front bumper, side skirts, a large wing, side decals, and big wheels, the car has been signed by the late Paul Walker. 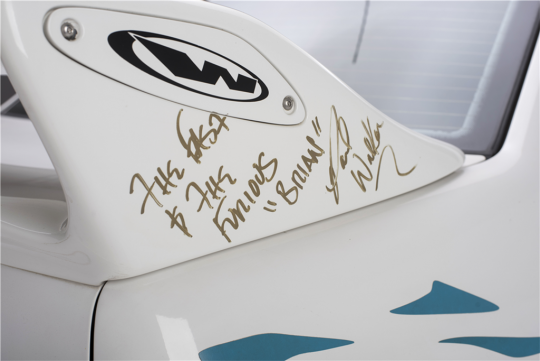 Chad Lindberg, who drove the Jetta and played Jesse in the film has signed on the car too. 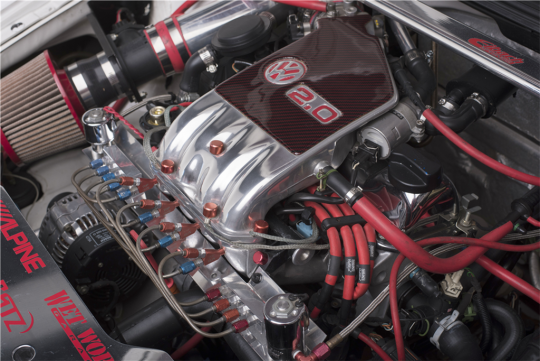 Inside, the car features a custom stereo with a Playstation 2 console and runs using a 2.0-litre four-cylinder engine. The car is connected to an conventional automatic transmission. Weirdly, the no information on the selling price has been released.